Winemaker’s Notes: This luscious, refreshing, lightly floral wine has notes of orange citrus, honeydew melon and maintains a well-balanced acidity. 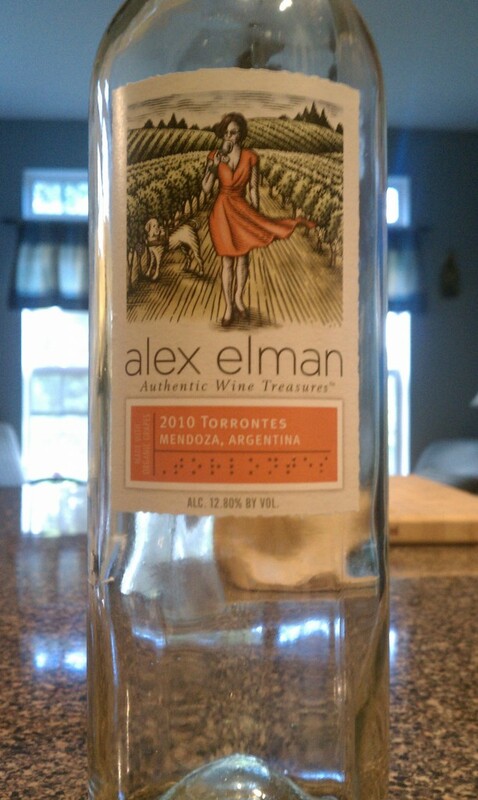 Its notes of honeyed fruit leaves a long taste in the mouth. This wine is great to sip all day and is a perfect match for salads, citrus accented foods, light fish, and semi soft cheeses. 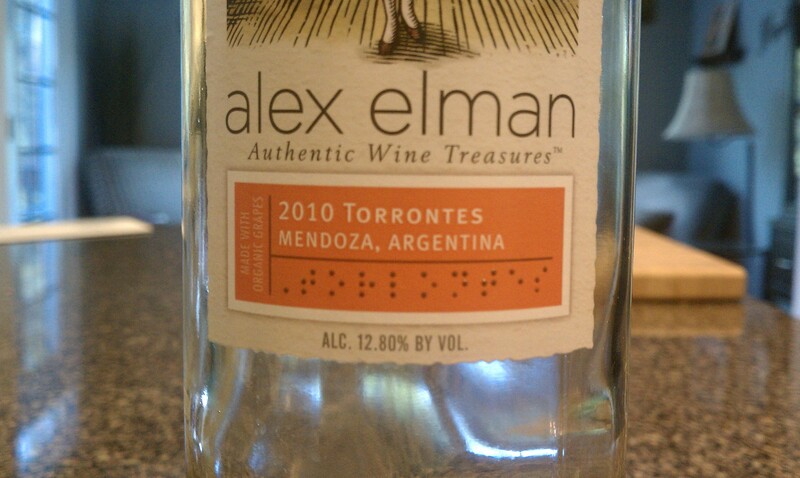 My Review: Ok, before I delve into the actual review of this wine, I want to talk about Alex Elman for a minute. Part of why I was interested to get these wines when they were offered was because of her. While you can check out her entire life story over on her website, the short version itself is nothing short of amazing. Involved in the wine industry from an early age, Alex partially lost her vision in her late 20s due to complications from diabetes and after several eye surgeries within a year, had completely lost it by the age of 27. Since then, her passion for wine has grown and in 2009 she decided to create her own label of wines focusing on sustainability at the vineyards where they are produced, with the inaugural release coming out in November of 2010. Talk about your amazing stories. Ok…now for the wine. In the glass the wine was a light golden yellow and I got floral aromas with a hint of citrus – pretty much what I would expect from a Torrontes. The palate almost made me think it was a different wine. While the nose had this nice floral notes that almost hinted at sweetness in the wine, none of that came through in the mouth. Instead I got citrus and a finish that combined that citrus with a pithy quality to create the sensation of effervescence. 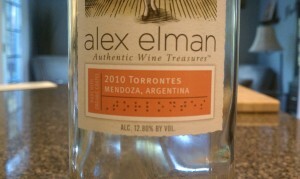 That's braille on the label, which I found to be a nice touch. Paired with a dinner of mahi mahi that was spiced with Baja seasonings and some chipotle sauce on the side and some home made fried rice it wasn’t a bad pairing, though with with heat from the food I might have preferred a bit more of a honey note on the end as opposed to the citrus. That being said, Torrontes is one of those grapes I’m still getting to know, and seeing another way it can be done is always something I’m in favor of, so it’s certainly worth checking out for that, and if you can’t find it near you, follow this link and have it sent to you.